Door, window and hatch rubber seals in automobiles are particularly susceptible to noise and deterioration due to rubbing and vibration. A thin film of perfluoropolyether (PFPE) oil or PFPE/PTFE grease can lubricate sliding contact in convertible tops, sunroofs, trunk lids and doors, to keep the rubber compound in good condition, protected from oxidation. PFPE oil and grease can stop weather strip “bunching” and “gathering” and help eliminate the wind noise produced as window glass is raised. Luxury and high performance sports car manufacturers recommend using PFPE oil and PFPE/PTFE grease to eliminate noise and deterioration of rubber seals due to vibration. Inside an automobile’s interior, there are a variety of places where different materials come into contact with one another. Examples include metal on plastic, leather on leather, weather-stripping, and many others. Movement between these surfaces often results in a series of noises typically described as squeak, itch, or judder. 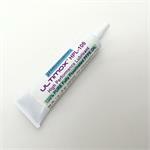 PFPE/PTFE lubricants can permanently eliminate these noises with just a small amount of lubricant at the interface. Volkswagen, Ferrari and other carmakers sell PFPE oil and PFPE/PTFE grease under their own brand name and part number, but it is the SAME high-quality high-performance product you can purchase from us for much less. PFPE oil and grease are very easy to apply by hand, they spread thinly and invisibly, and have extremely low volatility for long-term durability and performance in all weather conditions. 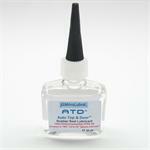 MicroLubrolTM ATDTM Auto Top & Door Rubber Seal Lubricant is a 100% pure perfluoropolyether oil (PFPE, also known as perfluoroalkylether) just like the popular GPL-105 PFPE oil. 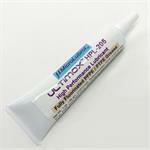 MicroLubrol ULTIMOX HPL-105 is an ultra-high quality fully synthetic highly fluorinated PFPE perfluoropolyether oil, clear in color and has a viscosity of 540 centistokes (cSt) at 20ºC. 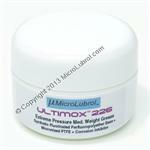 MicroLubrol ULTIMOX HPL-205 is an ultra-high quality PFPE/PTFE grease formulated with fully synthetic highly fluorinated perfluoropolyether oil and micronized polytetrafluoroethylene (PTFE). 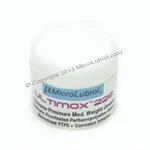 MicroLubrol™ ULTIMOX™ 226 Perfluorypolyether PFPE / PTFE Grease w/ Corrosion Inhibitor. DROP-IN REPLACEMENT FOR GPL-205 and GPL-206 in Automotive Applications. DROP-IN REPLACEMENT FOR GPL-226 in Bearing Lubrication Applications. ©2019 Microlubrol LLC, All Rights Reserved.